Gyalshing, 28th November, 2018 (IPR): The Hon’ble Governor Shri. Ganga Prasad on the 2nd and also the final day of his premier tour to West Sikkim interacted with the Government Officials of West Sikkim at the Bhanu Salig, Kyongsa. The District Collector along with SP West, ADC West and HoDs of different departments were present in the interaction program. The Hon’ble Governor addressed the gathering of Government Officials and guests with his words of encouragement and advised them that their roles as Officials of the District is an important one. He also congratulated them for their respective roles in making Sikkim known not only to India but the entire world. 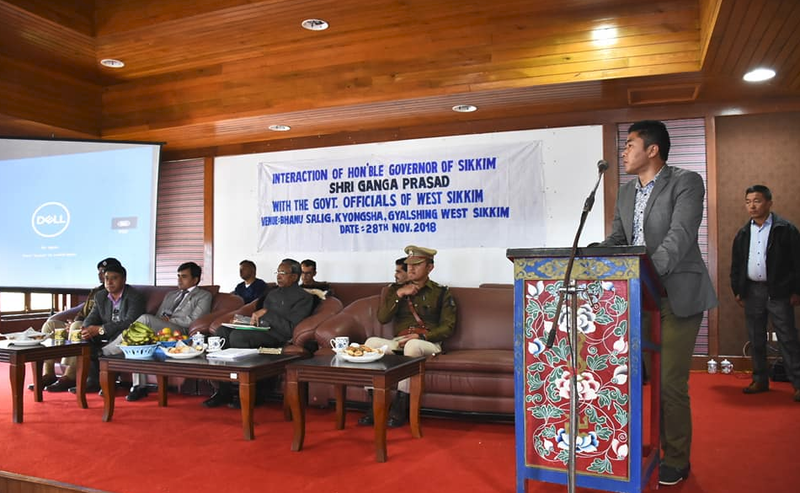 He advised the officials that their responsibility to the people and the state is huge and that their services would affect the future of Sikkim. Hence they must work with more enthuse and create newer milestones for the West District as well as for Sikkim and India. He mainly stressed on how the departments should be more involved in multiplying the agricultural and the horticultural produce of the state using various tools and techniques made available to them. He also advised them to find the right market to sell the surplus organic produce and generate more income for their economic stability. He further advised the DC to hold similar meetings of District Officials to understand the progress of the district and also visit rural areas more often to understand their perils and work out the possible solutions. The program was conducted for the Governor to see and understand the District machinery at work and how the district was progressing. During the program various Departmental Heads presented their works in form of a PowerPoint presentation to the Hon’ble Governor briefly explaining him about their different projects and works in the district. Gangtok, November 27: (IPR) Three Cooperative Societies of Sikkim were awarded with the NCDC Regional Awards for Cooperative Excellence and Merit -2018, at an event held at Sahakari Bhawan Gangtok today. The Programme was organized by National Cooperative Development Corporation (NCDC) in collaboration with Cooperation Department, Government of Sikkim. The Awardees were given away a Cash Prize of Rs. 25,000 with a Memento and Certificates, respectively. The programme was graced by Secretary Cooperation Department, Shri L. B. Chettri, as the Chief Guest and has the presence and participation of Additional Registrar, Cooperation Department Smt Jabi Thapa, CEO Sikkim Cooperative Union (SICUN) Shri Robin Sewa, NCDC officials, Managing Directors of Denzong Cooperation and SISCO Bank and officials from the Cooperation Department. Secretary Shri L.B. 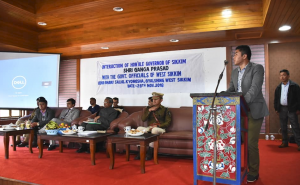 Chettri in his address congratulated the awardees and thanked NCDC for choosing Sikkim as the host State for organizing the Regional-level programme. 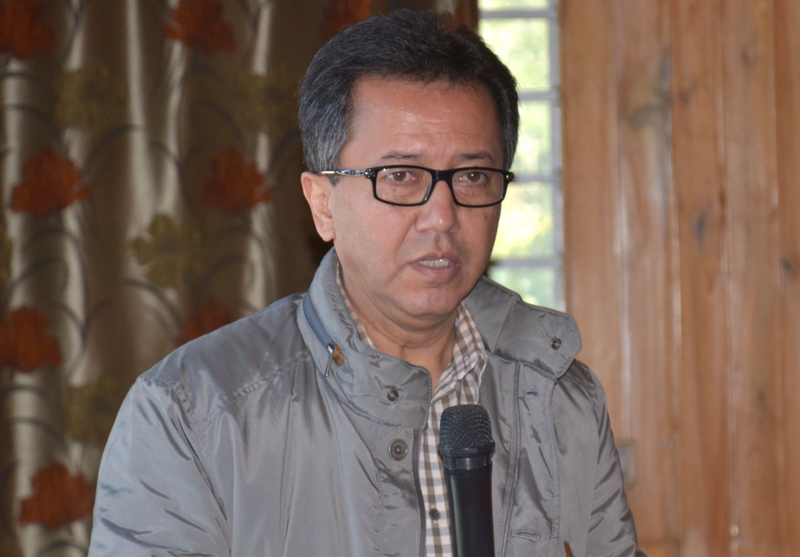 Appreciating the efforts of NCDC and officers of Cooperative Department, Shri Chettri said that programmes such as this one would definitely bring confidence and encouragement among the Cooperative Societies and infuse in them the zeal to work better in their respective areas. He also talked about the responsibility of the Sector and urged everyone to focus more on up- scaling Cooperative Movement in Sikkim. He said that Cooperative Sector in the State should have a proper road map to further strengthen and institutionalize cooperative societies at the grassroots levels. He however maintained that the Cooperative sector in the State has seen visible improvement over the years. CEO SICUN Shri Robin Sewa congratulated the awardees and gave a brief background of the Cooperative Movement in the State. He also briefed about the activities of SICUN. During the programme, representatives from the award winning Societies shared their experiences and thanked NCDC, Cooperative Department and the Government of Sikkim for the recognition. NCDC official Shri S. Goswami highlighted on NCDC Regional Award at each State/Union Territory and its objectives to recognize the important role played by Cooperatives for cooperative development of the country and to promote the spirit of competition amongst the grass-root level cooperatives i.e. Primary Level Societies and recognize their role in socio-economic development and to publicize the role of NCDC as a National Level Institution for Promotion and Development of Cooperatives. National Cooperative Development Corporation (NCDC) is a statutory corporation under the Ministry of Agriculture & Farmers Welfare, Government of India which provides financial assistance for development of Cooperatives. Namchi, 27th November(IPR) The Minister of State for Skill Development and Entrepreneurship Mr. Anant Kumar Hegde visited Temi Tea Garden today. He was accompained by the Secretary, Ms. C.C Bhutia and the Additional Secretary, Ms. Sunita Pradhan of Skill Development and Capacity Building. At, the onset Minister Mr. 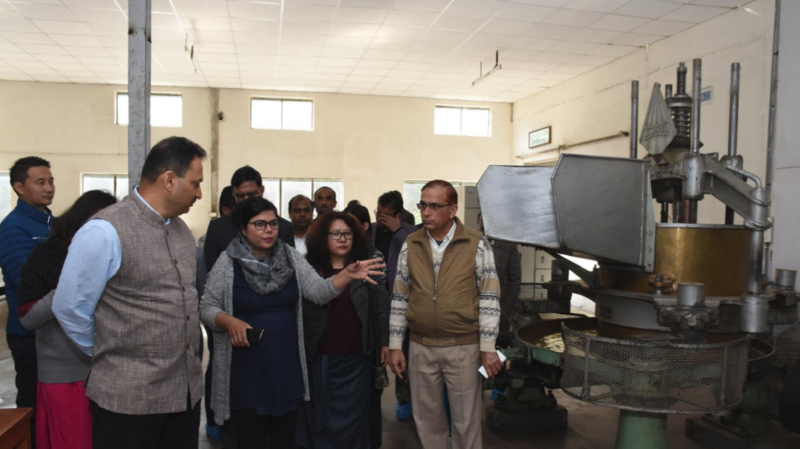 Hedge took a tour of the tea factory wherein Managing Director Ms. Mrinalini Srivastava briefed about the tea making process, the garden’s history and how it received the organic certificate along with the present status of the garden. Ms. Srivastava also explained about the various facets of tea making including that of packaging and marketing the organic tea produce. Thereafter, tea manufacturing consultant Mr. Nalin Modha presented and tasted the variety of organic tea leaves produced at the garden namely Spring, Summer, Monsoon, Autumn, Green and White tea. The Minister also chaired a meeting which had the participation of budding organic entrepreneur from Sikkim.He highlighted the significance of skill and entrepreneurship which is necessary in today’s changing world. He suggested if needed the Sikkim State Government to aid the entrepreneurs financially along with substantial assistance from the North East Council. He also extended that the entreprenuers should opt for global gap certificate in order to market the products at an international level. Mr. Hedge also implored that Sikkim should come up with vigorous branding of its premium organic products and cited the example of Kerela Government and how they have created a niche for themselves with regards to promoting of their products. He also proposed to form a Temi cluster wherein the emerging local business people can get support and elevation from the Ministry of Skill Development, Sikkim Government and other concerned departments. He also strongly endorsed that Sikkim State Government should boost the handicraft section of the State with aid from the North Eastern Council. The local handicraft vendors and producers should aim to showcase their products at the International Arts and Craft Fair which is supported by world bank. During the course of meeting the Minister also interacted with the entrepreneurs in which they put forward the various challenges faced by them in terms of marketing their products and sought feedback from the Minister to retail the commodity.